With February just around the corner and spring break geting closer and closer, I wanted to devote a post to one of the more interesting classes we have here at Kellogg. It’s called Global Immersion in Management, better known as GIM. In anticipation of all the captivating places we’ll visit and people we’ll meet over the quarter and during the trip, I wanted to share a little information now, not only about the overall GIM Experience but also about my specific trip to Kenya. As it turns out, my specific GIM Trip will be headed to Kenya. Likewise, some of my classmates will be headed off to China, Southeastern Asia, Southern Africa, Brazil, India, and a number of other countries. Students choose trips to go to for a large number of different reasons – personal ties to the countries, professional interest in working their one day, and having a good group of student leaders, among other things. The thing that stood out to me about Kenya, is that the trip is part of the Global Health Initiative, a project that brings together faculty and students from across Northwestern to address the unique challenges of global health. The premise of the Global Health Initiative for our class is to leverage our local medical product companies who donate their resources to improve treatment of diseases like malaria, TB and AIDS, which are high in prevalence in Kenya. From there, Northwestern is able to provide the talent, largely in the form of Kellogg MBAs, to research the community and help take the products to market. In the context of the class, that means interacting with doctors, scientists, and researchers throughout the quarter to figure out what’s important. Doing research to better understand the market and stakeholders in Kenya. Developing a plan to test the product in Kenya once we get there. 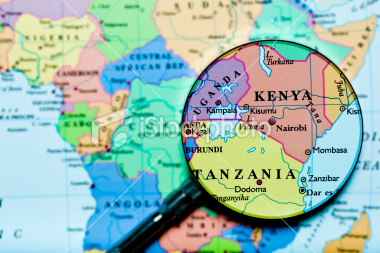 And at the end of the quarter, heading to Kenya in March to execute our plan. My specific team is the government team, so we’ll spend our time finding the stakeholders in Africa, trying to understand what processes we’ll need to go through to speak with those stakeholders, and determining what we want to accomplish when we meet with them. In the process, we’ll have to produce a research proposal, a number of intermediary status reports, and in the end produce a quality paper outlines our findings. But perhaps more important than the analysis and the report that we produce is that we all get to take on the challenge of tackling these problems firsthand. We get to interact with experts who have devoted their lives to the cause. We can collaborate on some of the world’s biggest problems with some our brilliant classmates whose interests similar to ours. And we not only think about how we might plan to launch a new product, but we also travel abroad for two weeks to see what it really means to start the process of change. A once in a lifetime opportunity if you ask me. I look forward to seeing how that process goes over the next two months. And I hope you’ll check back to hear more about our trip.